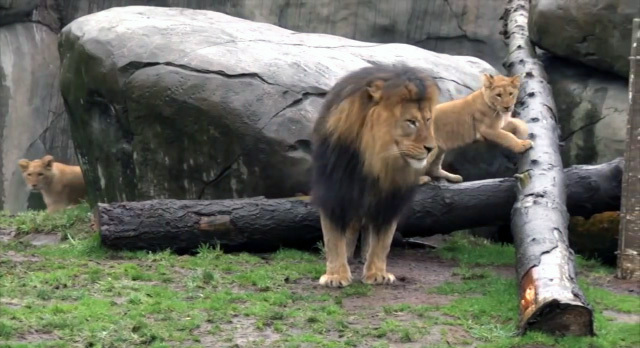 What Happen When A 500 Pound Lion Ventures Out With His Cubs For The First Time? 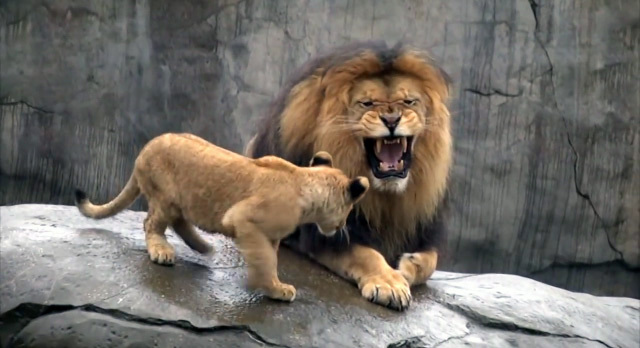 Do You Think He Is Too Aggressive? 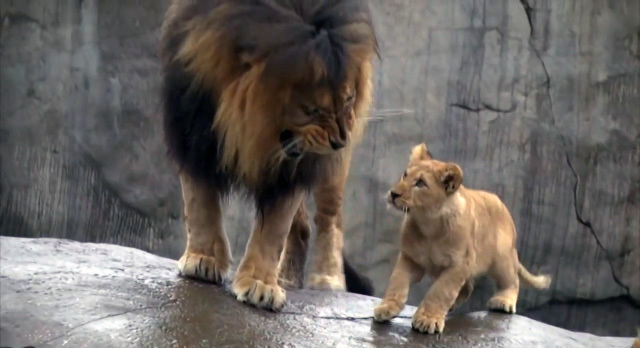 If you want to see a 500 pound predator become the cat toy of his cubs you're in the right place! 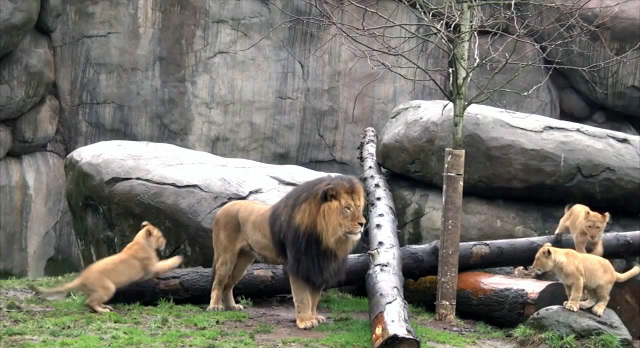 This three little cubs venture out with their father for the first time. 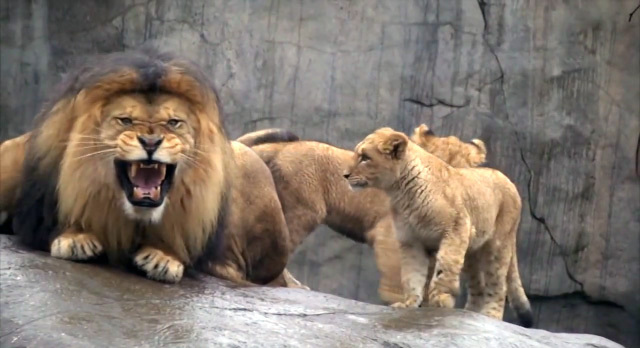 Initially the lion is a little bothered by his energetic cubs. But after some time he seems to settle in even if he continues to show them his big teeth! Share the video with your friend below!